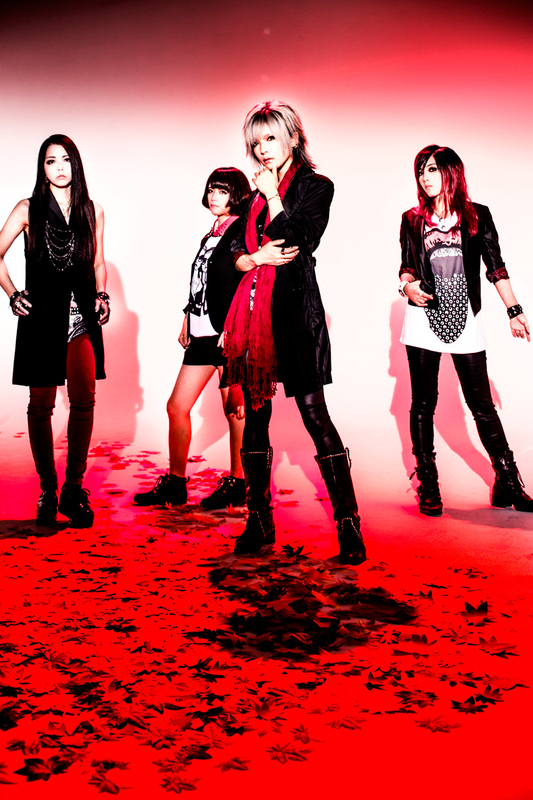 Girls’ emotional rock band formed in August, 2010.
and Ebi (Ba.) joined later in May, 2014. The band name “GANGLION” originates form “core of generation,” in the members’ hope to “generate new sounds not confined to any established genres,” based on a wide range of music the members have been committed to such as pop, rock, metal, emotional, punk, loud, electronica, etc. The 1st full album WORLD released in 2012, a rough-hewn but sturdy piece of work, was recorded almost only by the members themselves, allowing one to label this album as the springhead of GANGLION.The first press was sold out instantly. The 2nd mini album RISING was released in 2013 in the members’ pursuance of the quality of their songs and of the evolution of their philosophy of music for years. This album got No.1 in the Tower Records J-POP Ranking. After release, GANGLION was taken up in music magazines such as BURRN! and WeROCK, gaining nationwide popularity. The members’ frequent appearance at CD shops and in various media has also made the news. GANGLION received high evaluation for their speedy and dynamic live performance with their unique and futuristic rock sounds and catchy melody lines. The 3rd mini album INFINITY released in 2014 had Mr. Yuo-Yuppe as the producer, the foremost figure of VOCALOUD, who distinguished himself over the globe in producing BABYMETAL,completed advanced “emotional GANGLION sounds,” that is, a mixture of pop music and loud music.Got 18th place at the first appearance in the Oricon Indies Chart. The band did a tour over 18 places across the country in the next two and a half months, ending the tour with a big success at Harajuku Astro Hall. October 31, GANGLION was invited to join ONI-CON in Texas, US to play a performance in front of 1000 audiences. While they succeeded in their first overseas performance, the GANGLION sounds captured the hearts of many US fans.In addition, INFINITY started to be distributed on iTunes to 111 countries in the world. In 2015, the band will appear in an event in Taiwan, and go on the first Europe tour accepting the invitation from an EU in 2015. Holland,Switzerland and Austria for two weeks from the end of March. The total drive was 5,500km. and “JAPAN TOUCH HARU 2015” in Lyon, France. anime fans and　visual-kei fans. by futureinvitations for next year’s performance by eight promoters. December 19 (Sat.) at the UNIT in Daikan-yama. steadily expanding their overseas activities. Further, Oni (Vo.&Gt.) is acting as a regular model in the fashion magazine KERA!, which has won overwhelming support from teens because of Kyary Pamyu Pamyu’s occasional appearance in the past. Thus, Oni has been showing her presence in the fashion field, appealing to middle and senior high school girl students. an illuminating performance and a great sense of style.